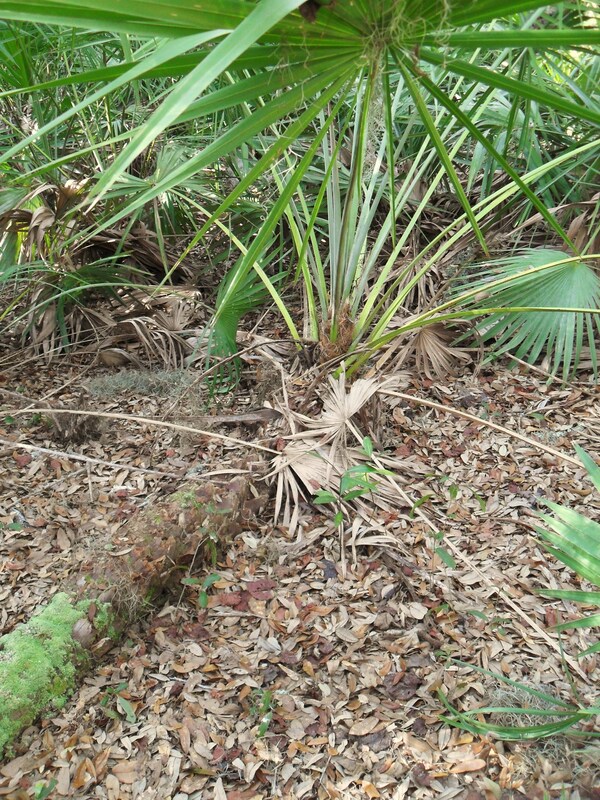 The most common understory in the forest here is the saw palmetto, Serenoa repens. 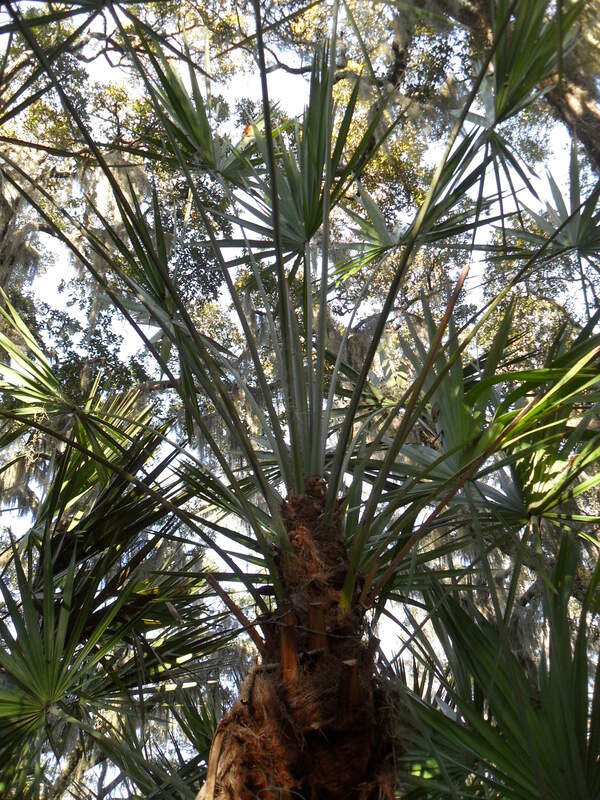 Although it’s a palm, it doesn’t usually grow upward to form a real tree; instead, the trunk grows horizontally along the ground and the fronds grow upward out of it. 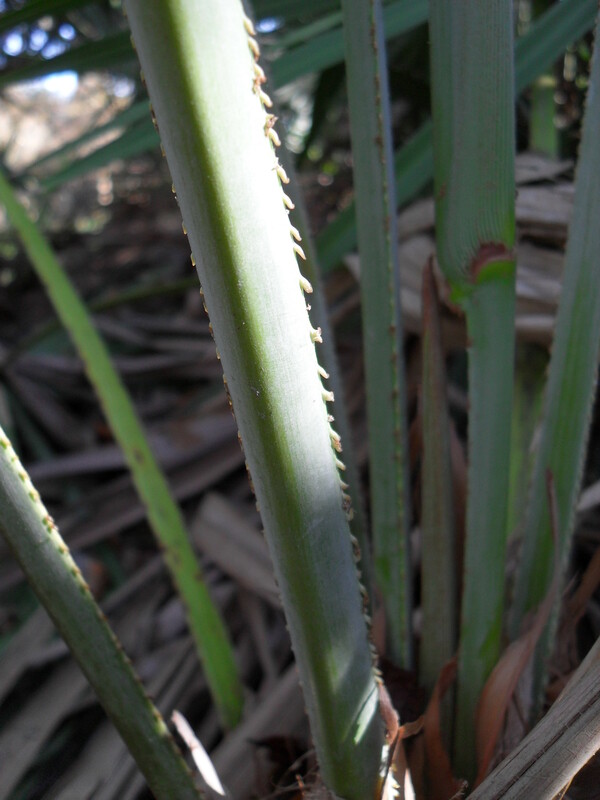 Its name comes from the serrated, or saw-toothed, edges of its petioles. 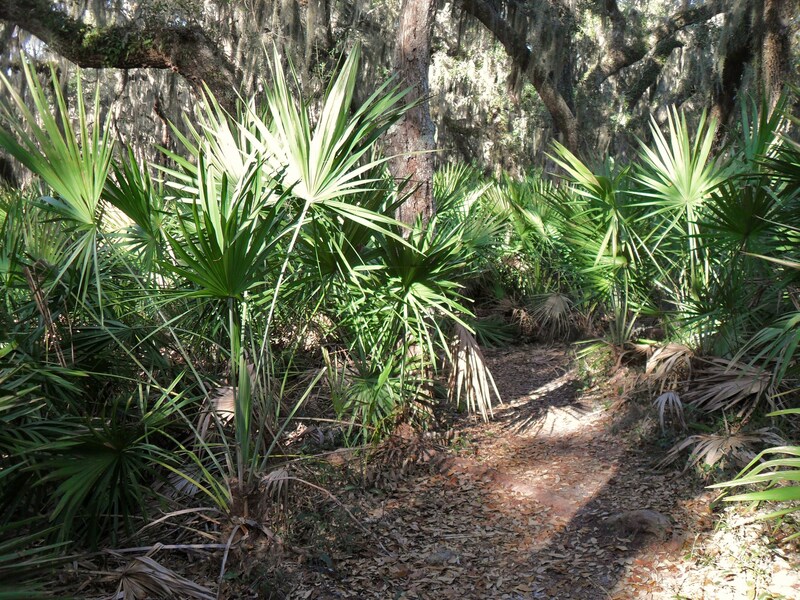 There is one place along one of our trails where the palmettos are getting a little… ambitious. 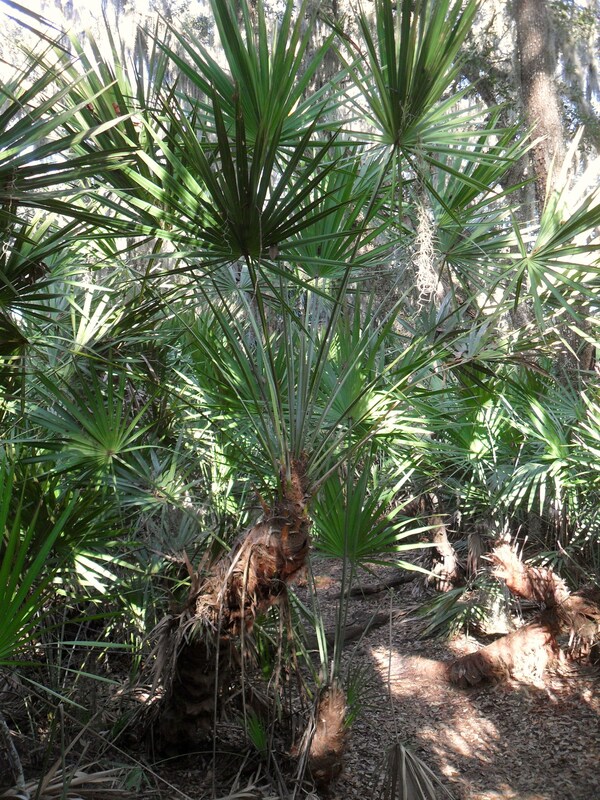 Their normally sprawling trunks are starting to grow upward toward the canopy, rising from the ground at odd angles. Why? My best guess is that they’re growing in an especially shady area and are going the extra mile to increase their share of sunlight. They’re still not quite what I would call trees, but they’re getting there. That is cool how the trunk grows along the ground. Thanks for sharing that! Interesting. Previous Previous post: What’s in This Hollow Tree? Next Next post: Supermoon = Supertide!